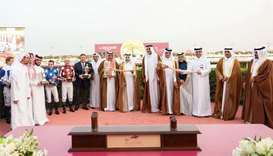 His Highness the Amir Sheikh Tamim bin Hamad al-Thani crowned the winners of HH The Amir Sword (Group 1 PA) and HH The Amir Trophy (Group 1) at Qatar Racing and Equestrian's Al Rayyan race track on Saturday. 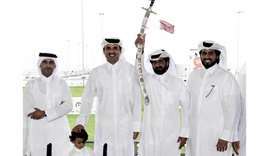 His Highness the Amir Sheikh Tamim bin Hamad al-Thani honoured the winners of the Qatar's appreciative and incentive state awards in sciences, arts and literature. 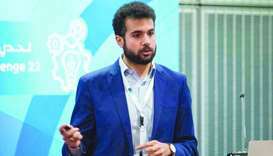 British Council announced the winners of the Study UK Alumni Awards 2018-19 in Qatar at a special ceremony held on Saturday evening at Museum of Islamic Art. 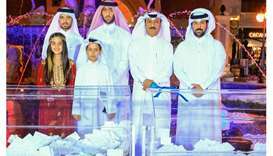 Ibn Ajayan Projects has announced the winners of the second draw for Asian Town Shopping Festival 2018. 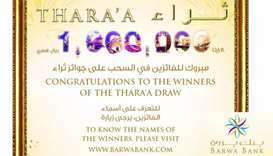 Barwa Bank announced the names of its April’s draw winners for Thara’a, its Shari’ah compliant savings account. 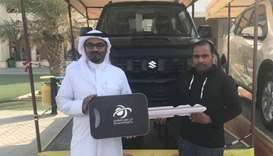 United Development Company (UDC), master developer of The Pearl-Qatar, has wrapped up a shopping campaign it had launched last year, with a raffle draw.